David Rosenberg, CEO of Prime Automotive Group. 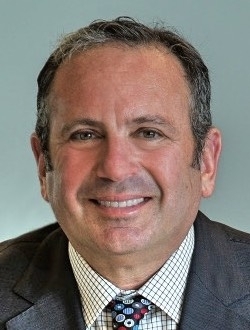 David Rosenberg, 56, has had a busy year leading a large and growing dealership group and overseeing the launch of Prime Flip, a new vehicle-subscription program. Prime Automotive Group formed in fall 2017 through the combination of Rosenberg's Prime Motor Group and GPB Capital's Capstone Automotive Group. The changes propelled Prime Automotive up 53 spots to No. 13 on the Automotive News list of the top 150 dealership groups based in the U.S., with retail sales of 46,163 new vehicles in 2017. The combined company — including Prime Motor Group of Westwood, Mass., with 30 dealerships in New England — includes 59 rooftops in eight states. In June, Prime Motor Group launched Prime Flip in suburban Boston, providing members access to premium and luxury sedans, crossovers, SUVs, pickups, coupes and convertibles. Members, who pay $1,395 a month following an initiation fee, can request vehicles through the program's smartphone app.